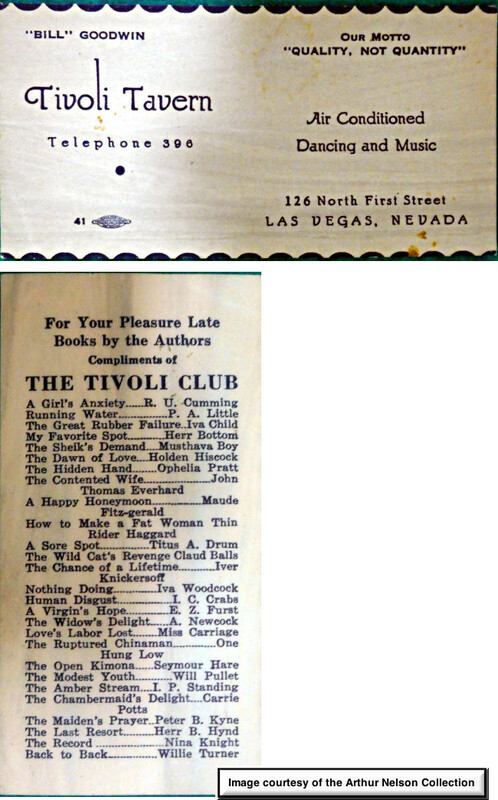 The collectibles shown here are a good record of the various individuals involved in the Tivoli. Guy McAfee was also an owner. You can read more about his life at author J. H. Graham’s website. 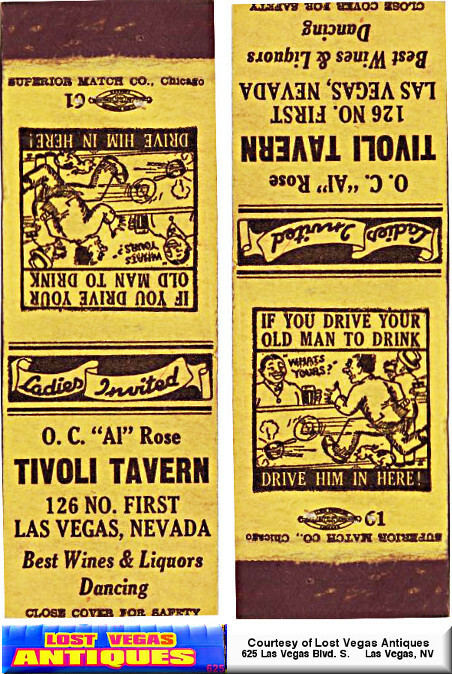 The Tivoli Tavern at 126 N. 1st. 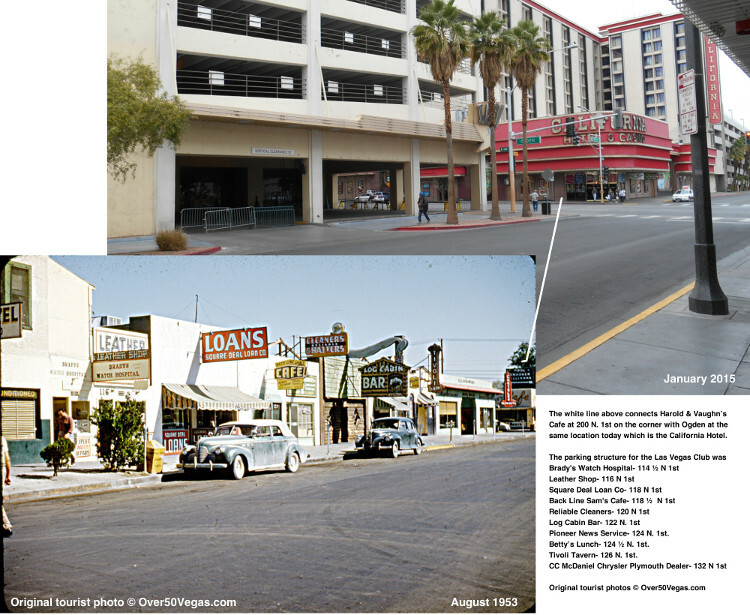 was a very narrow part of the block just off Fremont Street in the heart of downtown Las Vegas. That first block of North First Street included some great bars and entertainment venues for decades. Below is the same view of N. 1st Street 60 years apart. You can click on the photo to open a larger picture with more detail. next to the Log Cabin Bar in this original tourist photo from 1953. 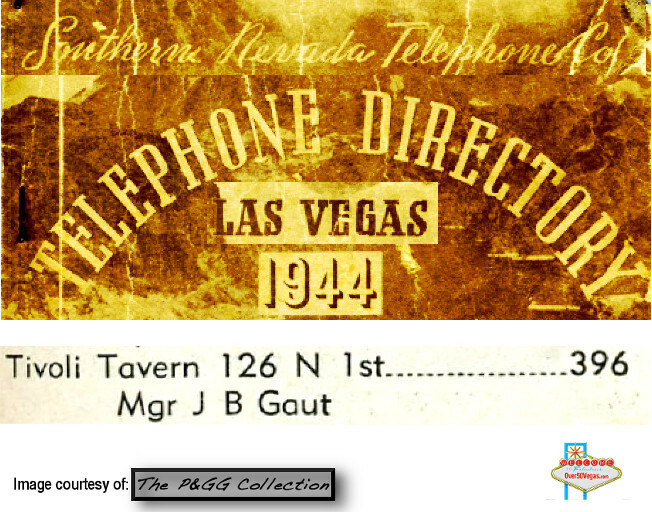 Tivoli Tavern showing an early 3-digit phone number. and the latest was 1953. On the back of the card is a listing of risqué book titles. These types of cards were very popular at the time. 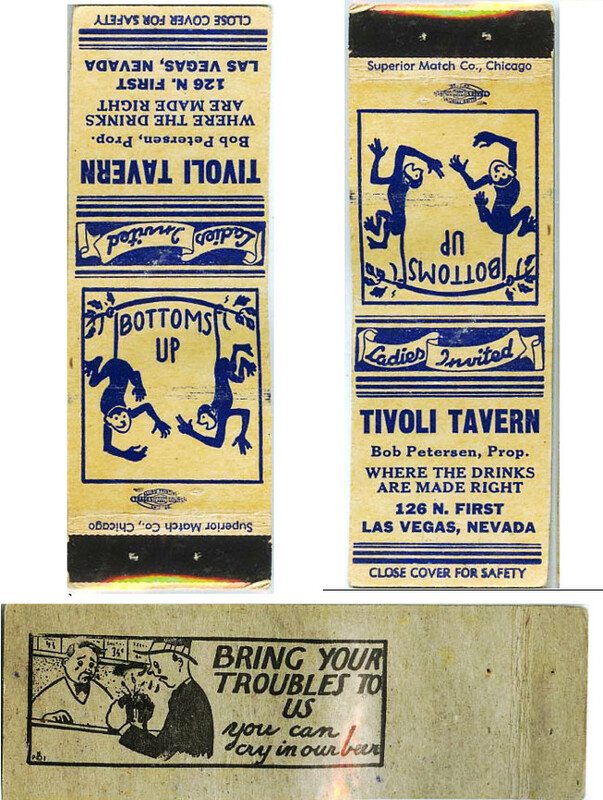 Matchcover from the early 1940’s with Guy McAfee as owner of both the Tivoli and Mandalay Bar. 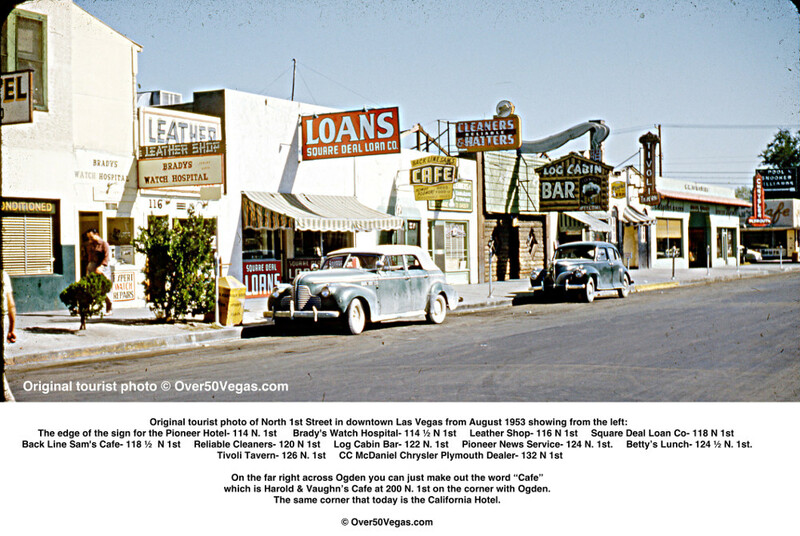 McAfee is better know as the original owner of the Golden Nugget which he opened in 1946. 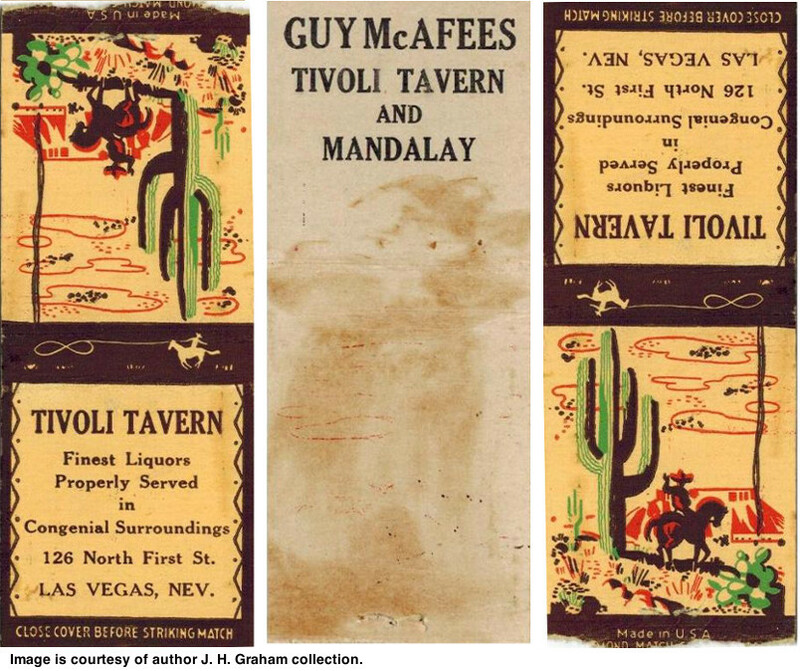 Click on the image to read a great biography of Guy McAfee from author J. H. Graham.